Three-phase industrial vacuum cleaners with motor at the top, suitable for industrial applications for continuous use, where a compact size is really important. 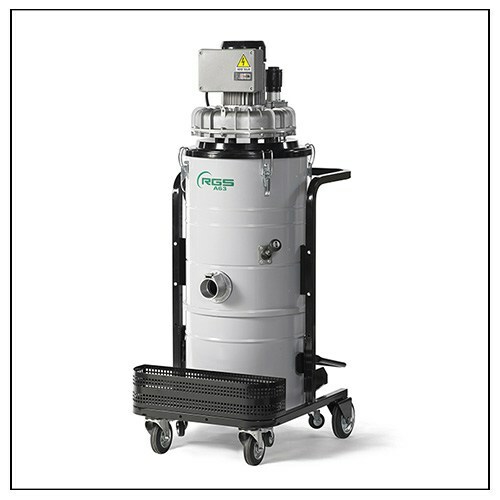 Equipped with suction unit 2.2 and 4 kw multi-tension, they are fi tted with a star filter, manual filter shaker and removable container with a capacity of 65 and 100 lt. The model 2.2 kw is also available in atex versione for zone 2-22.